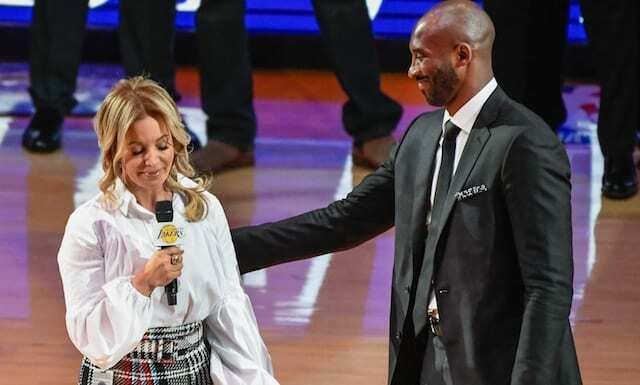 When taking a glance at the outstanding history of the Los Angeles Lakers, some names have withstood the test of time and made impacts on countless generations. Examples include both Magic Johnson’s and Jerry West’s roles as players and members of the front office. However, the diehard Lakers fans may have one voice that stands out above the rest. For over four decades, Chick Hearn captivated hearts and had spectators on the edge of their seats. Hearn’s career as the play-by-play announcer began before the team even moved to Los Angeles, as he came along with the Minneapolis Lakers. From there, it became a match made in heaven, as both The Forum and Staples Center welcomed him with open arms. Not only that, Hearn would be featured all around the NBA, including calling the NBA Finals. On March 13, 1992, Hearn called his 2,500th consecutive broadcast. The Lakers were on the road, traveling to the Richfield Coliseum to take on the Cleveland Cavaliers. Although they would lose, 109-107, the night belonged to Hearn. His impressive streak dated back all the way to the 1965 season, summarizing the consistency that Hearn brought. He stretched it out to 3,338 consecutive games called, with it ending when Hearn required open heart surgery during the 2001-02 season. However, he would return to call the final five regular season games and all 19 playoff games as the Lakers went on to win the 2002 NBA championship. He was also well known for the series of quick-witted punchlines he would deliver anytime the Lakers would seal a victory, involving a refrigerator, eggs and Jello. Hearn’s broadcasting journey began in Manila, where was stationed after World War II. He delivered play-by-play for a touring basketball team on the Armed Forces Network. From there, it would skyrocket to calling the most historic franchise in NBA history. 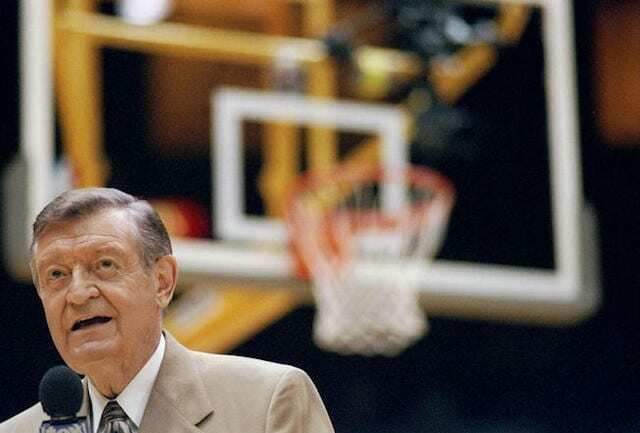 Although Hearn passed away in 2002, basketball fans all around the world carry with them the wisdom that he imparted. Professional athletes and sports fans alike in the Los Angeles have been spoiled when it comes to legendary broadcasters. Whether it was Vin Scully for the Dodgers, Bob Miller for the Kings, or Hearn with the Lakers, those listening in around the world got a glimpse into brilliant play-by-play announcing.